Data downloads on mobile devices increased by 69% in a year forcing Australian telco providers to respond with higher data allowances, revealed the ACCC in its 2017 Telecommunications Report. We are getting more bang for our buck...or more accurately we are getting more data included in our plans. 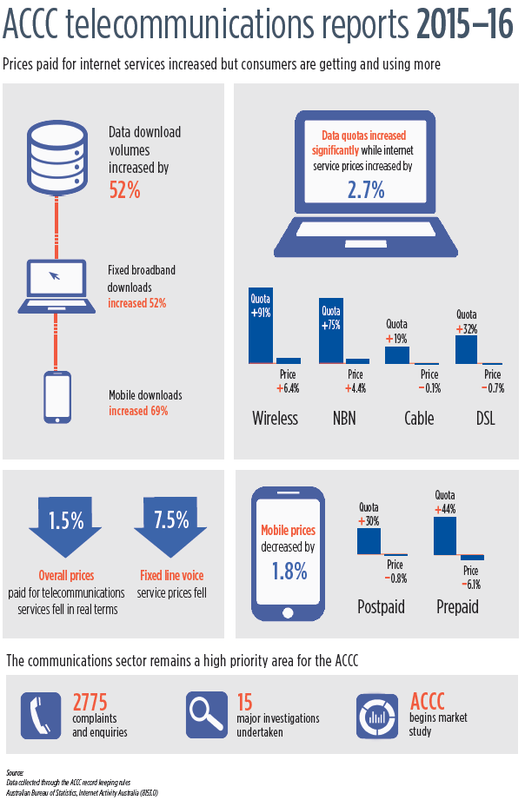 The ACCC report shows we paid slightly less for our mobile services, -1.8 per cent, in the financial year to 2016 and received more for our money, especially data download allowances which for postpaid mobile plans increased 30%. The report shows that many of the changes transforming the sector in 2015-16 were driven by consumer demand, said ACCC Chairman, Rod Sims.